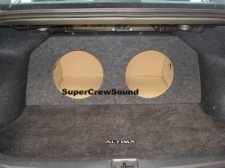 Rock your Ride with a Nissan Altima Subwoofer Box from SuperCrewSound! Make your friends jealous with the superior sound quality you get from your new hyped stereo. 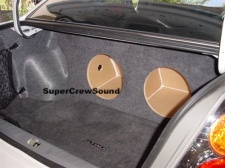 The sound quality improvement achieved by adding a Subwoofer Enclosure is unmatched by any other stereo component - not only do you hear it – you “feel” it – and it feels GOOD! 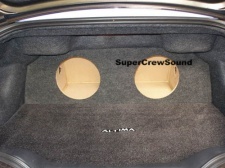 Buy your Nissan Altima Subwoofer Enclosure from SuperCrewSound - Guaranteed to fit or your money back!